Louisville, Kentucky is best known for horse racing, bourbon, and basketball. It is quickly becoming known as a food travel destination, too. In our prior article, we detailed things to do in downtown Louisville. There is also a lot in Louisville Kentucky for active families to enjoy in addition to downtown attractions. Read on to find out what active options await: hiking, biking, canoeing/kayaking, horse back riding, and zip lines. Most of the opportunities for active families in Louisville occur in the Louisville parks. Olmsted Parks: Louisville’s urban park system was created around 1900 by Fredrick Law Olmsted, who is considered the father of American landscape architecture. He is most famous for designing Central Park in New York City. In Louisville, he designed Cherokee, Chickasaw, Iroquois, Seneca, and Shawnee parks, plus multiple smaller parks and parkways (treelined boulevards connecting the parks). Waterfront Park: Spanning the Ohio River along downtown Louisville, Waterfront Park offers 85 acres of green space and river views. A pedestrian bridge spans the Ohio River to Indiana. Parklands at Floyds Fork: On the far east side of metro Louisville, about a 15 to 20 minute drive from downtown is the most recent addition to Louisville’s Parks. 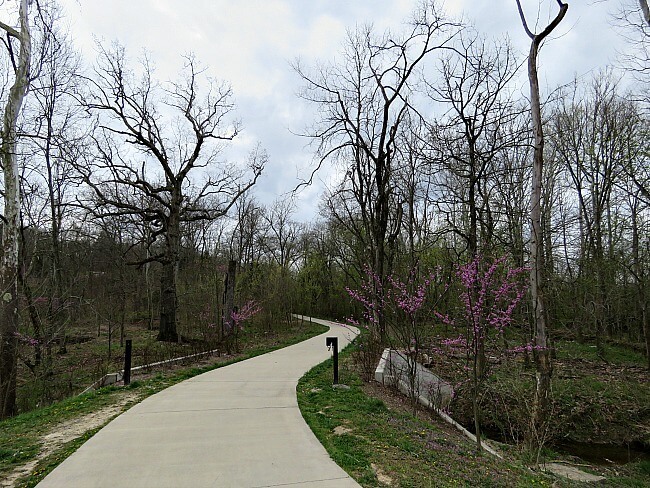 The Parklands are actually separate parks (Beckley Creek, Pope Lick, Turkey Run, and Broad Run) connected by Floyds Fork Creek and trails, with the final park being completed in April 2016. 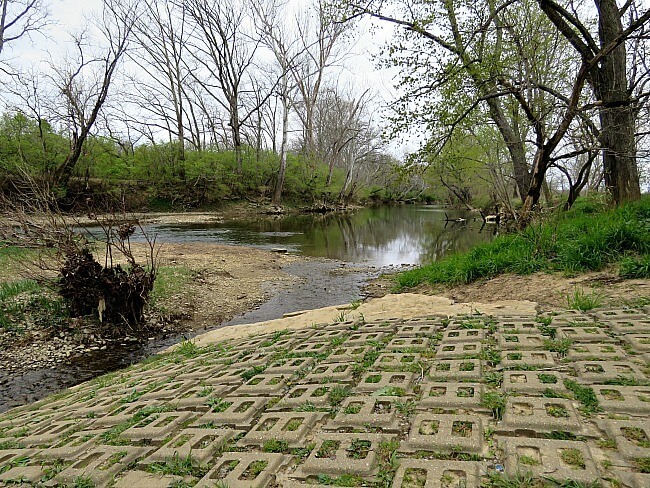 The Parklands follow Floyds Fork Creek for roughly 19 miles through forest. 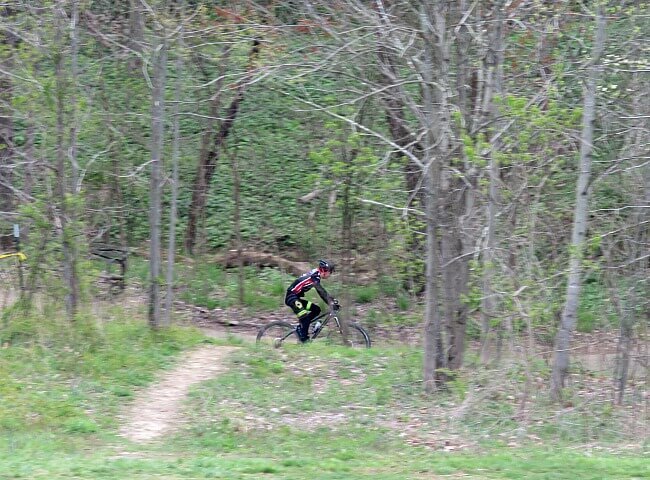 The Parklands cover over 4000 acres with over 60 miles of trails, and 25 miles of mountain bike trails. 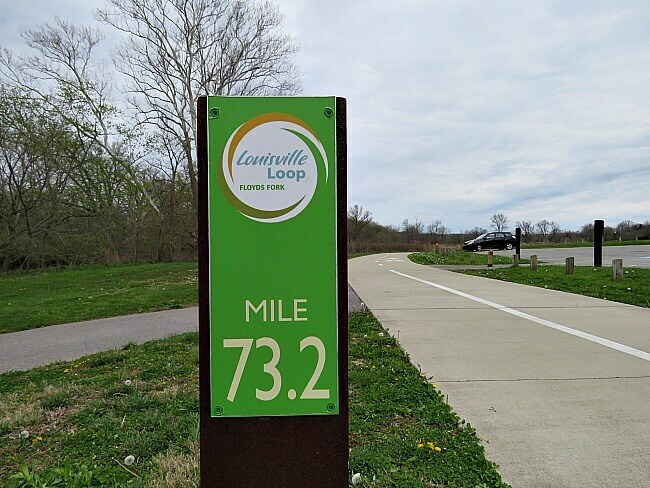 Jefferson Memorial Forest: On the far south side of metro Louisville, about a 15-20 minute drive from downtown Louisville lies the largest urban forest in the United States, Jefferson Memorial Forest. 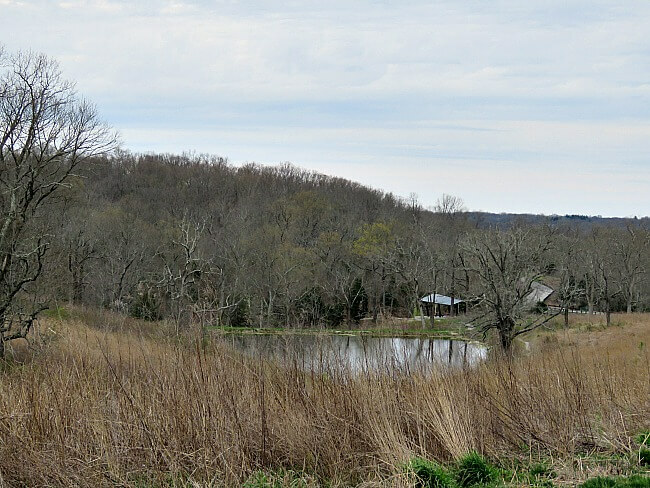 Boasting over 6500 acres of land and 35 miles of trails, it is a National Audubon Society designated wildlife refuge. All of the parks mentioned above are great places for the family to stretch their legs and enjoy nature. The Olmsted parks offer miles of paved and unpaved trails. Waterfront Park and the Parklands offer mainly paved trails; while Jefferson Memorial Forest is unpaved. Louisville hosts multiple races of varying distances throughout the year. Here are some highlights. “The Triple Crown of Running:” (2/27) Anthem 5K, (3/12) Rodes City Run 10K, (3/26) Papa John’s 10 Miler. Check Swagsportmshoes.com for a complete listing. Street: Louisville has so far completed 39 miles of a 100 mile bike/pedestrian loop around the city. From Waterfront Park downtown, you can ride along the river to the west side to Shawnee and Chickasaw Parks along mostly flat trails. 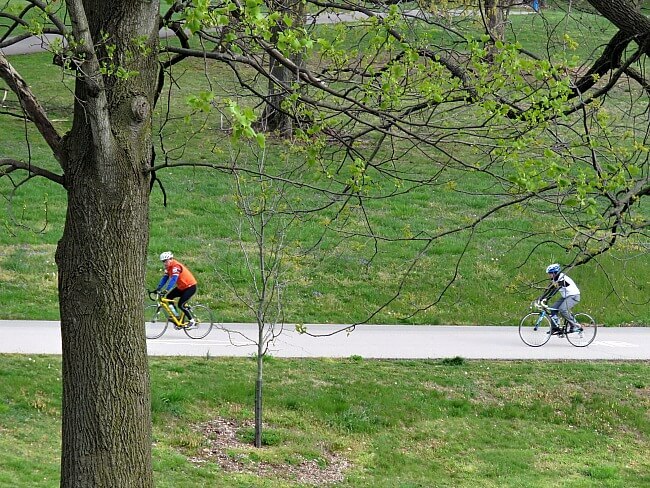 Each of the Olmsted parks and The Parklands at Floyds Fork offer a great place to ride. There is some traffic present and the hills are challenging. Cherokee and Seneca Parks offer over 10 miles of mostly single track trails. Turkey Run Park of the Parklands at Floyds Fork has two trails that are appropriate for beginners: Paw Paw Trail and Chickapin Trail. When completed there will be 25 miles of trails designed by the International Mountain Biking Association. Waverly Park (not mentioned above) offers 300 acres of forest trails. When entirely completed, it will offer over 10 miles of designated mountain bike trails. Waverly Park lies in southwest Louisville around the old Waverly Hills Sanitarium. Underground: You can now take biking tours of Louisville Mega Caverns through miles of underground passages. 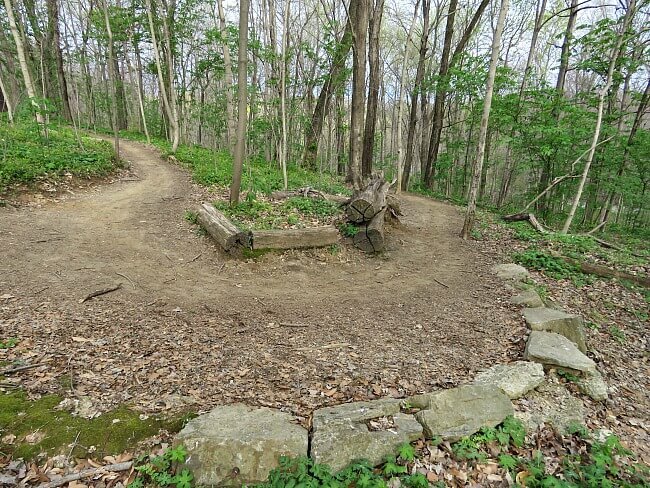 Event: The Old Kentucky Home Bike Tour is a yearly event taking cyclists on a 1 or 2 day adventure from Louisville through rolling hills of rural Kentucky to Bardstown and My Old Kentucky Home State Park in early September each year. Choose between 55, 72, or 102 mile rides. The Parklands at Floyds Fork offer 7 access points for paddlers. 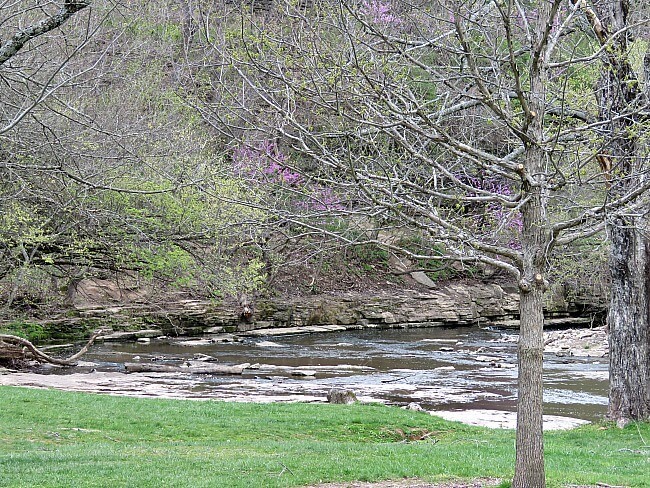 The waters can be quiet fast during the spring rains, but can be quiet slow during dry spells. The Ohio River is open for canoeing/kayaking with multiple access points. The University of Louisville Rowing Team can be seen here early on many mornings. Jefferson Memorial Forest has trail areas for horseback riding: Paul Yost Recreation Area Trails and the Purple Heart Trail. Go Ape! has a zip line and treetop adventure course in Jefferson Memorial Forest. Mega Zips, in the Louisville Mega Caverns has the world’s only underground zip line adventure. Beginning and ending along Waterfront Park in downtown Louisville, this is the ultimate Louisville active adventure! Remember that there is a lot to do in Louisville Kentucky for active families.